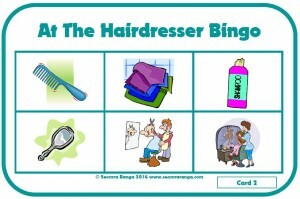 This bingo game focuses on the theme of The Hairdresser. It is aimed at a group of six pupils, so it would be useful for Station Teaching or for Aistear work on the theme of The Hairdresser. Print out and laminate sheets 1-6 for the pupils.